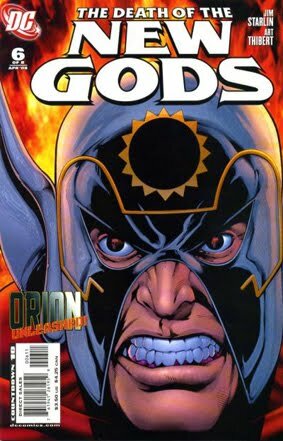 • DEATH OF THE NEW GODS #6 "Sacrifice"
• PLOT SUMMARY: Orion recognizes the New Gods' killer — as he stares into the face of death himself! Can even the son of Darkseid withstand the might of this murderer? Plus, Mr. Miracle is driven to the brink of insanity as the Anti-Life Equation threatens to erase all the progress that he and Superman have made!